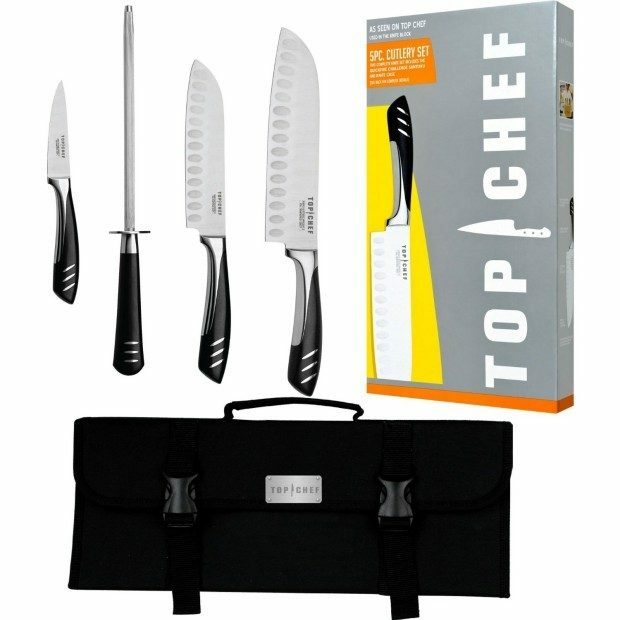 Top Chef 5-Piece Knife Set With Nylon Carrying Case Just $31.57! Down from $59.99! You are here: Home / Great Deals / Amazon Deals / Top Chef 5-Piece Knife Set With Nylon Carrying Case Just $31.57! Down from $59.99! Here’s a great deal! You can get a complete set of Top Chef 5-Piece Knife Set with Nylon Carrying Case for just $31.57! Down from $59.99!